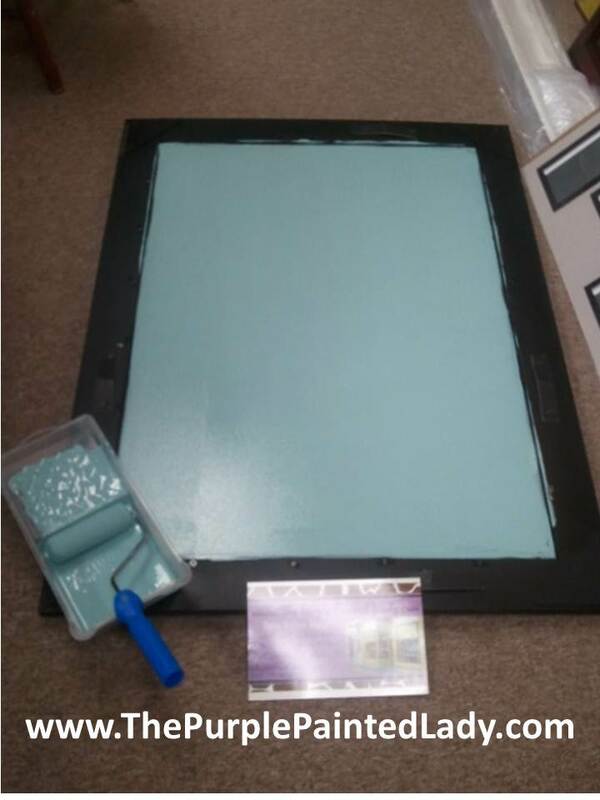 How To Make A Dry Erase Board – How Cool Is This? So – every once in a while we all get lucky. I was at Micheal’s Crafts and walked by a display in the front of the store and didn’t believe my eyes! 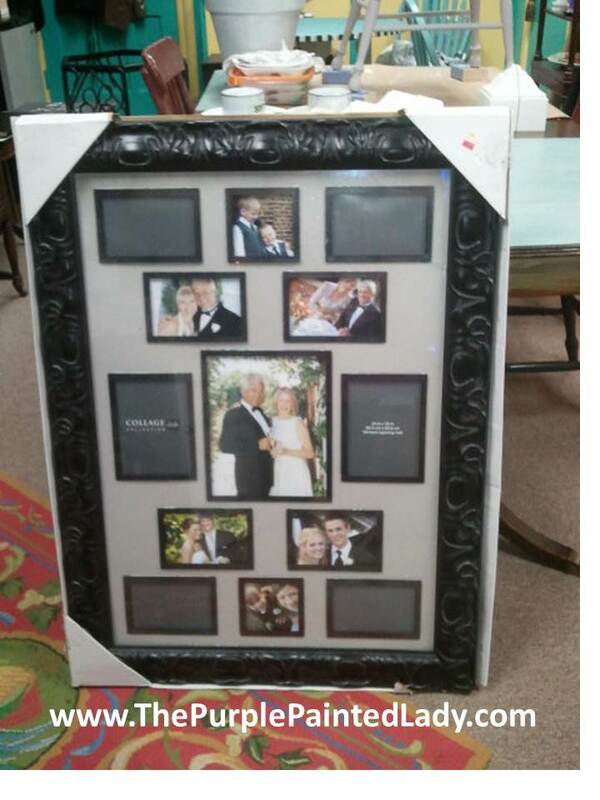 Here was this mammoth funky frame photo collage marked down from $149.99 to …. (drum roll please!)……..$2.00! Yep! That is correct! It was marked down $147.99. Now that gives us all perspective on mark up, right? Well, sort of. Obviously they just wanted to get rid of them. And look how big it is! Anyway, I loved it. And lucky me…there were TWO! So, I grabbed them both. I have had them sitting in the back corner of of my shop for almost 6 months with a plan to make them into a dry erase board for my store. And well, today…was finally the day! 1. I laid it flat on the grown, face side down and removed the back. 2. Removed the cardboard and paper insert. 3. 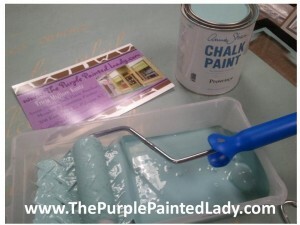 Using my Annie Sloan™ Decorative Paint Products- I grabbed one of my favorite colors- Provence! Now- anyone can create a white background for a dry erase board- but I wanted something with a bit more fun! So, Provence with it’s gorgeous blue-green hue I knew would be perfect. And since this paint has incredible adhesion qualities- I just applied it directly to the glass. 4. I painted around the perimeter with a small brush. 5. 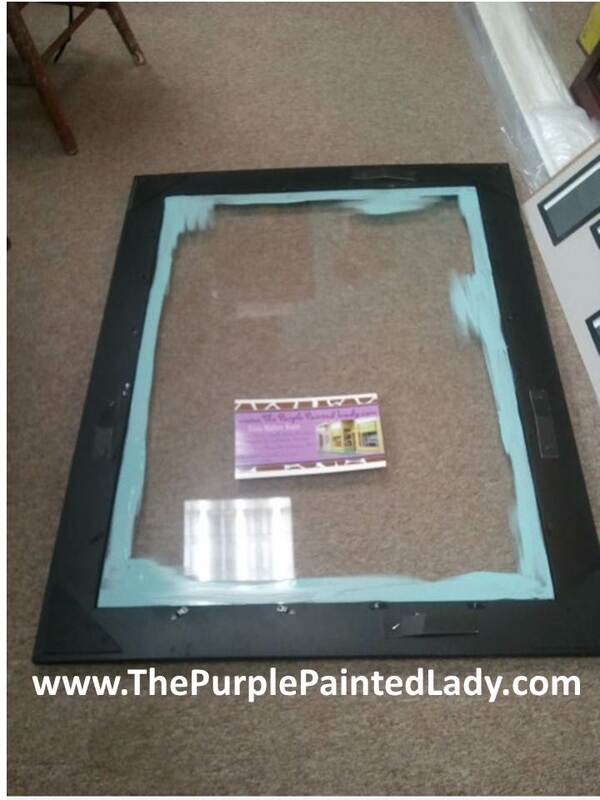 Let the Annie Sloan Chalk Paint™ dry and reassemble the frame back together. 6. Use a Sharpie and ~ voila! You are all set to have some fun & write away! As for cleaning the glass after using a Sharpie, a little hand sanitizer, glass cleaner or Clorox or baby wipes will do just fine (whatever you have available to wipe the sharpie off.) You can use expo markers instead of a Sharpie but the expo brand seems to smudge easier. So, just a note to self in case the board will be located in an area you can brush up against- like in a hallway you carry your groceries or laundry through. What is awesome about this approach to making your own dry erase board is the flexibility to customize to your needs! You can get frames that are small OR super big based whatever size space you would like to fill. Versus being stuck with what only the store has in stock. AND- the frame can be super cool! 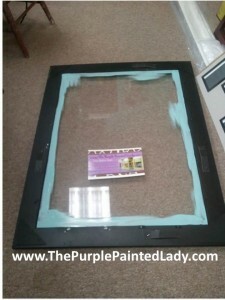 Get a decorative carved frame and paint the frame too! I love the fancy frames! Great HELPFUL HINT.. Shop Salvation Army, Goodwill, or VOA’s for art work in frames with a glass top plate. Pick up pieces for cheap and convert to this idea! * Makes a GREAT end of year Teacher’s gift!!! * Leave one in the garage for a quick communication board for yours kids or hubby to communicate with each other. 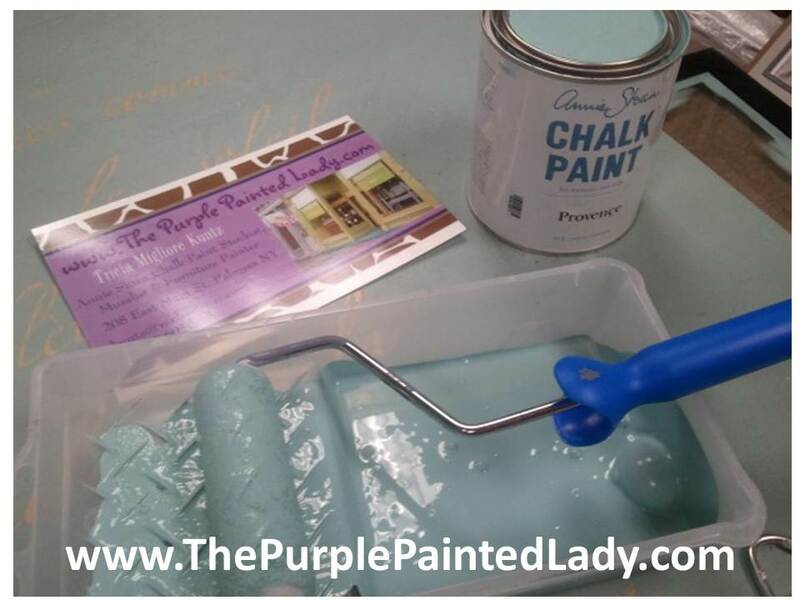 Keep in mind – The Purple Painted Lady sells “sample pots” of Annie Sloan Chalk Paint™ – and these would be perfect to create a bunch dry erase boards! And with 29 colors- you can custom color coordinate to match any decor or accommodate someones favorite color (just don’t use Graphite!) LOL! And I have to end with something inspirational and a reminder to you all!